Raytheon is one of the top five defense contractors in the world and is well known for its missile, missile defense, radar, and surveillance technologies. However, the company is also trying to draw attention to its robotics technologies, which it gained by acquiring Salt Lake City-based Sarcos in November of last year. The May release of the motion picture Iron Man presented Raytheon with an ideal opportunity to show off its robotics work in concert with build-up to the blockbuster's premiere. 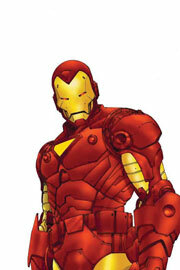 Raytheon and its corporate AOR, Text 100, aimed to brand the company as a bleeding-edge innovator and cool place for young, prospective employees to work, by offering media opportunities to show off its XOS exoskeleton - which is in development for possible use by US Armed Forces - and build on its resemblance to Robert Downey, Jr.'s Iron Man character. It also aimed to change the way it is perceived. "People think that they know what Raytheon is, and [the robotics program] shows that they might not - that there's more to Raytheon than they might think," says Corinne Kovalsky, Raytheon director of PR. Raytheon worked with Popular Science on an exclusive cover feature on the XOS exoskeleton titled, "Building the Real Iron Man." The contractor also invited the BBC, CBS Sunday Morning, and The Associated Press to live demonstrations of the suit. There the manufacturer showed off the suit's features and the enhanced capabilities of the person inside. "The robotic exoskeleton that Raytheon created is actually an iron suit that would go around a soldier and allows them to have superhuman strength and super-human endurance, and it's so intrinsically cool when you see it," says Ken Peters, VP of Text 100. "It's such a great visual story and something that is very, very exciting to work with. "It's easy to get [reporters] to go and look at it," Peters adds. "We had a lot of media members who wanted to wear the suit." The company then developed b-roll footage and hi-resolution photos to create an online newsroom. Raytheon scored a multimedia feature in the Daily Telegraph, a Boston Herald Sunday business feature, and video coverage on Gizmodo, Wired, and YouTube. The story was also picked up on Time.com, USAToday.com, CNN.com, ABCNews.com, MSNBC.com, and the Drudge Report. "One of our new young hires sent me a note saying that Raytheon's cool factor had risen exponentially," Kovalsky says. With studios, producers, and actors hashing out the details of an Iron Man sequel, Raytheon will have future opportunities to show off its robotics technologies. "It's fair to say that we were excited to hear that they were coming out with a sequel," Peters says. The publicity surrounding the May release of Iron Man was a best-case scenario for Raytheon to promote technologies with mass public appeal. The PR team captured the moment by setting up an exclusive cover story and working with several premier news outlets on other stories. The sheer number of media outlets and blogs that picked up the story shows Raytheon did a masterful job of capturing the momentum of the film. With sequels planned, Raytheon will have additional opportunities to tie its work.